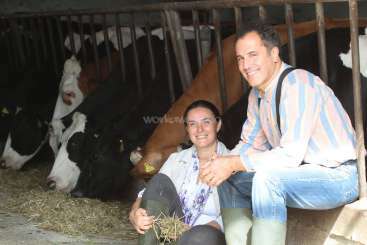 We are a very hard working Turkish couple running a dairy farm since 2000. Our operation is designed as a 200 head conventional dairy however we are trying to stop the monocultural,industrial way of producing.We are what we eat and we are after;economical,ecological and social resilience;and we have to restore ,regenerate and keep these less fragile all first!! !We are willing to evolve our business into a more ecological ,soil caring farm.Our herd is the first "free of disease herd" in istanbul and we come clean since 2005.I think having healthy certified cattle is very important if people other then your family will be participating in the daily production. We love our cows and we appreciate for the milk they produce. There is a doorstep fresh milk delivery service which we built and all of our customers feel part of the production. Through 8100 program we are looking for 12 neighbors.We already found the beef farmer,artist,worm manure producer and natural building architect-aim is to work on different activities in same land to compliment each other to provide the health of the soil.Their activities are sold/marketed through the doorstep delivery network,accommodation partially provided by the farm and this opportunity gives them time to focus on their main activity.Invitation is open for those who are interested to enrich soil and practice a communal life! 5 hours a day Max. The most important thing I expect from the volunteers are that they support my production team(not necessarily physically-but can be mentally as well/jokes or simply creating a nice atmosphere for them also counts) as much as you can and show love/care for my cows which is mostly forgotten at the daily hessle. -you will either get a an apart. one bedroom/kitchen/livingroom wth a bathroom inside or a single bedroom/bath combination.and also for the tent stayers- we have the most beautiful bathroom made by natural building design team! Our farm is only 90km to İstanbul and very easy to reach by bus from Esenler Bus station in istanbul. -you can only volunteer for at least a min of 21 full days and above-not less. Are wonderful hosts, they are hard working, kind, generous and wise. They run a well organised and very clean farm. Their cows and calves are well looked after well feed. Aysun is a wonderful cook as well. Volunteers are made to feel welcome and part of farm life right from the beginning. Aysun explains not just about the farm… read more but also about her philosophy behind the running of it. There are books for you to read on the subject which is very helpful. I enjoyed working with the calves, feeding them, cleaning their pens and giving them lots of massages and hugs, which they love. I enjoyed working and spending time with the other volunteers and farm workers. It was a wonderful experience and opportunity. How can I explain? It was an amazing experience, three weeks that I will never forget. They gave me the chance to write a checkout letter, and as I am not that kind of person who express their emotions easily, that was a very nice way to do it. And as I write on my letter, wake up at 5.30 am on sunday for the milking process, was for me much more… read more than just that. It was also what I can learn and share with people. This is the kind of experience that I look for when I decide to work as volunteer, make friends, learn and share with the local people, and this place got all of that, together! Thanks so much, and looking forward to return again!! we will miss you beautiful soul;we will miss how you touched our soil,cows and how your eyes see the farm. I will pray for all the other nice souls to host you on your way! If you get here, you will feel like home. If you get here, you will learn many things. SO many. If you get here, you will feel like a family member. And, whats most important, if you leave… read more this place, you will leave it with a thought: I AM SURE THAT IS NOT THE END. I AM SURE, THAT ONE DAY I WILL VISIT THIS FARM, AND THOSE PEOPLE AGAIN. I feel really grateful, and I miss you already. I had done many volunteering abroad work, but this time was the first through workaway.info. I had some expectations and fears before coming to Aysun's dairy farm. My experience here far exceeded my best wishes. None of my fears could have happened hear, in matter of fact Aysun made other volunteers and me very comfortable since day one. The only… read more regret for me coming here is that now it will be hard for my next volunteering to be as good as this one. The place here is so amazing, you even can walk around to near dam lake or village. In addition, you can go by bus to wonderful near cities such as Silivri, Cerkezkoy, Canakkale (though this one is far), Istanbul or even Igneada on the black see (I didn't succeed reaching there, the farthest I reached was Yenice). By train you can have a nice transportation to the wonderful city of Edirne at afternoon every day, and return in the early morning the day after the later. People, food and weather is so good in Turkey in general and in this area and farm in particular. The workers in the farm and other volunteers are so friendly all the time, during working time the whole day and during the cuzy evenings. 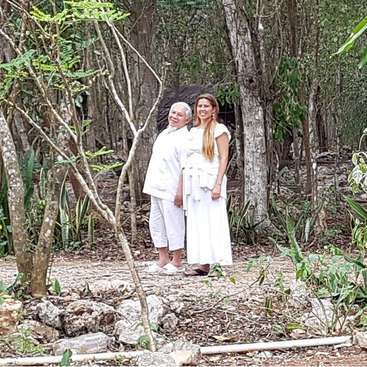 Most of important of all, the wonderful owner of the farm Aysun a wonderful confident hard working amazing woman and her lovely family and friends are to be thanked for making such a wonderful work in our world, something for earth, environment, animals and people. This and letting other people from all over the world; like me, to come and be a part of it as long as I want. My words will not ever be sufficient to describe my gratitude. I can't explain how great was my experience in this farm. I enjoyed everyday of work and felt like home with the other volunteers, farm workers and surely Aysun and Mehmet. Aysun is such a great person and a role model, she explained to us several things about the cows, milking process and the farm management and was always open to share her… read more experience and knowledge with us. The farm environment is wonderful and positive in all terms. I hope I can come back one day! You are so very much loved and missed :) Any person to host Zahra shall be prepared for a generous smile,uniqueness,confidence and colorful vision.It was very nice hosting you my dear,all the best further on your journey! I had an incredible experience at the farm. People were very friendly and easy going. 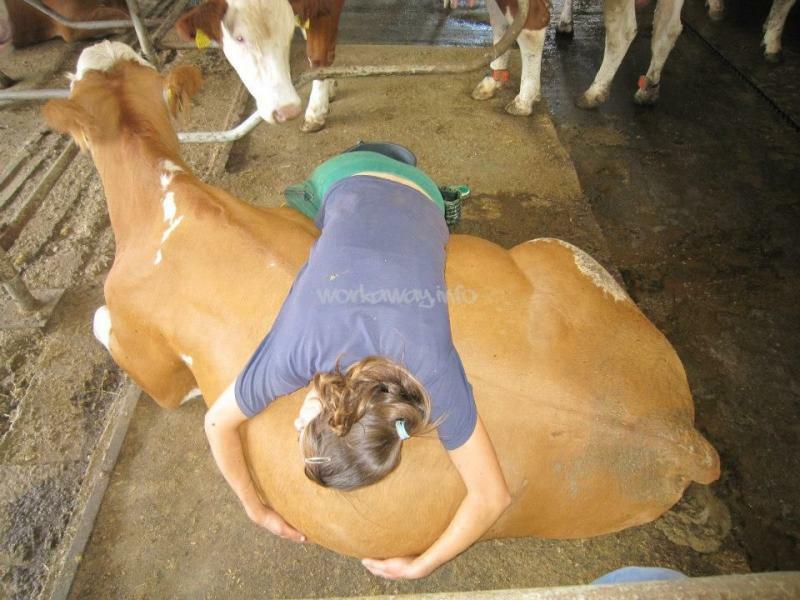 I learned a great deal about caring for the cows. Aysun and Memeth are great human beings managing the eco farm in a holistic way and aiming for water conservation in the same manner. Aysun is a very charming person and made my stay enjoyable. I can't way to come… read more back next year. I am missing everybody already including my (cows) babes. Aysun you are such an inspiration, you and your farm, your cows are beautiful and I like to say thanks to all the workers on the farm how lets me feel like a family. It was my pleasure to spend seven weeks living and working on the farm over January and February, and an illuminating, challenging, and heartwarming experience it was. Aysun and Mehmet are remarkable people, and welcoming and gracious hosts. Every weekend, without fail, I was invited into their home to enjoy their company, and incredible… read more home-cooked meals which ranged from traditional Turkish food, to my own dish of choice: lasagne. After nearly two decades running the farm, Aysun and Mehmet are full of insight and are happy to share. As a lifetime lover of dairy products, I went to the farm hoping to gain some insight into the lives of cows, and into the work that goes into getting the milk before it hits the shelves in its various forms: I was not dissappointed. By the end of my time on the farm, I was familiar enough with individual cows that I knew many only by their udders/teets, and from the beginning I had the opportunity to participate in every step of production. As a volunteer, you will learn to the extent that you are willing to express an interest and get involved and help out. Also, it doesn't hurt to learn some Turkish as this will help you to take instructions. The aspect of my time on the farm that I cherish most, was getting to spend time with, and share in the lives of the production team and the office crew. I will always remember the good times I had working with Sami, Zeynep's compassion and dedication to the cows, Firat's love of music, Umut's strange jokes, neverending funny videos in the lunch room with Mustafa, 10-minute workouts and hanging out with Burçin, good times and good vibes with Ahenk, Turkish music and Bonjovi with Turgay, coffee and trying to speak Turkish with the ladies, Ayşin, Tarek, Mert... just generally celebrating, and getting covered in bok with everybody. If you're looking for an immersive and enriching learning experience, and have the will to get involved and share what you have, then I can highly recommend this farm to you. For you we only have gratitude, the words fall short to say that this beautiful experience, these few days that we would have liked many more, They filled us with inspiration to follow our lives with a heart full of new good memories. Thank you Aysun & Mehemet for have received us at home every time with so much love, thank you for leave… read more memorable memories in us, for the meals that served us with so much love and we want to tell you that you have there, a treasure, a great treasure, that are building something unstoppable and every day when we got up, we saw how this continued to transform and grow. They allowed us to know about the cows, their daily life, their nobility, their being and they allowed us above all to learn to love them. Like Chica and Jessi. Thanks for allowing us to connect. Cenk, Ersin, Aysin, Tarek, Turgay, thank you for welcoming us as friends, for always being there helping us and for the moments we share. To the whole team infinite thanks for the love with which they welcomed us, for taking care of us, for the meals, the desserts and the card games with lots of water !!! Finally, we want to tell you that if you receive us there we will return 😊, because there are some outstanding bowling games and bets !!! I am just gratefull for every worker and every loving cow here . Is was a wonderfull experience. They are caring , fun lovely people! it was really hard to leave the farm. i miss everybody and hanging out with the cows. Wish all the best, all the love and prosperity for you guys. Thanks so much for everything we shared! !I will come back for a… read more visit. I feel very sad to leave this farm after spending 3 weeks here that nourish my mind and soul learning more than I expected. Don't hesitate to apply here because of extra working hours or days!! As Mrs. Aysun & Mr. Mehmet will take care of you very well and make you feel like home. Ask Aysun for orientation meeting you can't imagine how much you… read more learn from her. Love the farm vibe, the family, volunteers and ofcourse beautiful cows. 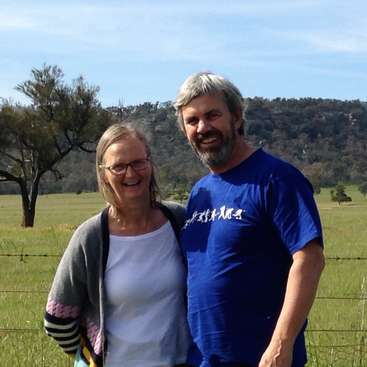 But I can really really recommend this workaway- you will leave feeling refreshed by the calm, unhectic and deeply fulfilling way of life on the farm. The care and support Aysun and Mehmet provide was exemplary, the food delicious, and I looked forward to the company on… read more the farm every day. The work is longer and more physically exhausting that other workaways I have done- good to keep that in mind- however the farm would not run without the application of physical labour so you understand, and quickly get used to it! Please send Nurben my love if she is still there! And everyone else! Harmony will be defining you :) It is not always easy for a traveller to come and adopt in short notice however with Dori we didn't sense it not a single day.She was flowing right from the very beginning.Very easy going,hardworking,great to create joy especially with dance! Her value is to make others happy. You are such a big heart,we… read more appreciate your stay and wishing you ALL the best further on your journey. 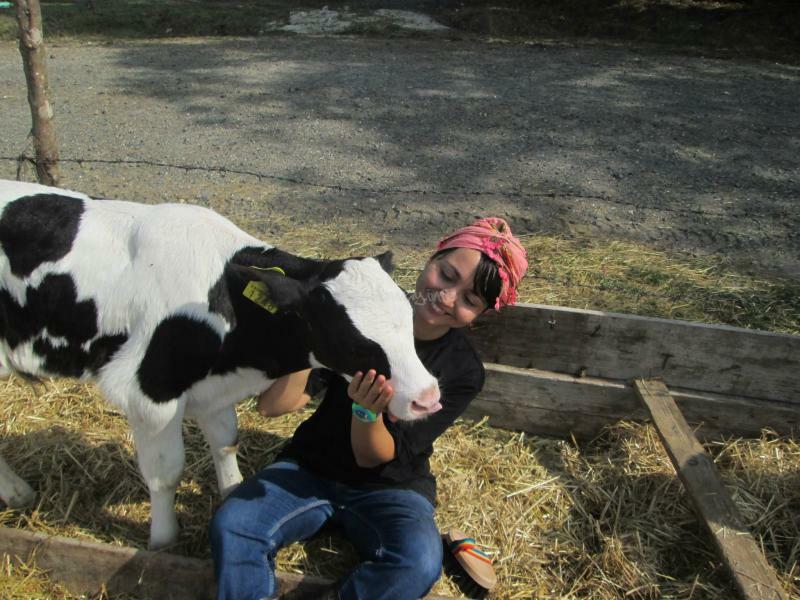 Volunteering at the dairy farm was quite an experience. You really get a taste of the simple Turkish life. All of the workers were super fun to work with even though you don't always understand what they're saying, you find a way to communicate. The other volunteers definitely make the experience what it is! You meet people from all over and I… read more learned a lot from them. And it was nice hanging out with them after a long day. It's a great learning experience to see the whole process of how milk is produced. I can be more of an educated consumer now because of this. And you can see just how many resources go into making a gallon of milk. I will say, going into this I thought it would be more of a family farm milking into a bucket, but it is more industrial using machines for the milking, so this is a good thing to be aware of. The vision of this farm is really a great goal to work towards (using the land and letting the cows do their thang). The 8100 program is great as well. I love the idea of different farms making a community of food for everyone together. I will definitely miss the farm and everyone and all the cows especially cow 950 (such a sweetheart). Tomas and I had an amazing time in this farm. It felt like our first home in our worldtrip, thanks to the amazing care of Aysun and Mehmet, the workaway-friends we made, and the lovely hardworking and warmhearted coworkers of the farm. It is a unique experience, you learn so much in many ways. If you have time, please make sure you come to this… read more place. A big thanks to everybody on the farm. We love you! understand more but the language barrier is a door to other communication. egetables from the garden and the jokes-fun atmosphere. it was important for me to see the way the dairy production is running. the classy amazing dinner you made for us, the welcoming environment and generally for the volunteer program and the guesthouse atmosphere. i had a lot of fun and even made friends with the other volunteers that stayed at the same time. my parents there with me. i recommend everyone that comes here to get involve as much as possible in all the aspects of the place. I asked her what she would enjoy the most;and she replied Im great at doing nothing!For someone working 7 24 365 like me this was something I needed to learn how to!She then said:for example I love ironing;in a workaway host where I had to iron 5 hours a day;it was fun-because you could simply do nothing while ironing :)) I… read more also love ironing as well and I will iron and do nothing more :))) will miss you very much dear Monise! Aysun "saved" me in the last minute from a bad experience I was having in another volunteering. I spent 3 weeks in the farm and I enjoyed it a lot. The atmosphere is great and all the other volunteers and staff are very nice people. Thanks for everything,… read more Aysun! Aysun have one of the most amazing projects I ever came across in my life, and one even more amazing story behind of it. Be there and have the chance to absorb all that information was a privilege. I wish my time there was longer, 15 days wasn't enough. I hope to see you all again next summer!! P.S. if you go there make sure to tell them… read more what is your talent as soon as possible and they will make sure you have a work you enjoy do. For everyone who read this! Go to this place, you will not regret it. It's wonderful and meaningfull time to spend and working for Aysun dairy farm. I got the first hand knowledge and experience related with all the daily life of the farm. When I was there I learn to be more respectful to every living created and love them. It's the perfect place to work and to know local culture and hospitality. I do really sorry… read more only spending 3 weeks for you guys hope I could come and stay again in the future time. May God bless you all and thanks. Wow you inspire me. I love what you're trying to achieve with the farm and I have every faith that you will be very successful. It was a truly wonderful experience to work with your cows and help you're lovely hardworking team. The accommodation is perfect and The food cooked by Aysun and Chemile is amazing. I truly wish… read more you all the best and sincerely hope to visit again one day. I wish that there where a button, higher than excellent. Because Excellent doesn't even begin to describe my experience on this farm. Anyone who is reading about this workaway and debating whether or not to go - Stop right there! I guarantee that you will LOVE every second you are on the farm. I spent two months on the farm, and it… read more wasn't enough, I plan to come back and look forward to the thought of being back constantly. I came to the farm, being familiar with animals, but not the workings of a dairy farm and certainly not of Turkish. My experience of Turkey was possibly the greatest in my life, And so much of this is all thanks to Aysun and Mehmet and the wonderful Island of happiness that they've created. Waking up in the morning and heading down for morning milking, watching the sun rise and listening to Furat's seemingly endless whistling, singing with him, having a miniature panic attack every time he goes "NONONO!" Then laughs when you freak out. Also If anyone wonders why the left hand gate in the milking room is particularly DIFFICULT to open/ close. ALSO! Scraping is possibly one of the most rewarding jobs that a person can do. Watching the milking cows (my ladies) come out of milking into a clean area with fresh feed is so incredibly satisfying. I fell in love, so much with the cows. 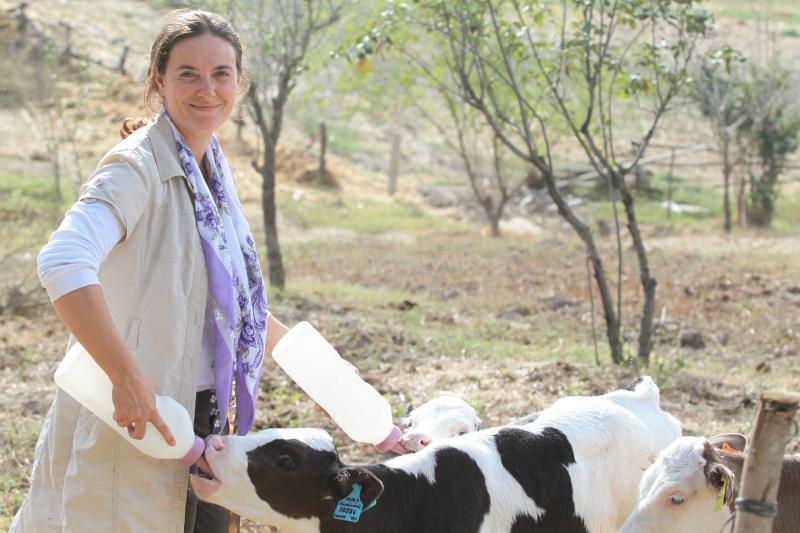 When i come back i plan to learn so much more from Zeynep because she is phenomenal with the cows. Combing the cows was a part of my day I always made time for, i sung to them, danced around them, cuddled them, loved them, talked to them and as Aysun says, they talk back, they tell you how they feel, if they're uncomfortable - everything, they tell you everything. "Yes, I suppose I'll allow that". Spring came into full bloom while i was on the farm, and I've never experienced something so beautiful and exciting! Everyday, walking in, past the apple and quince trees, looking over the green hills the inkling of a city life on the horizon that seems so foreign to you now - honest to god. I cannot recommend this workaway enough. As a traveler, You go to countries; so many countries, and each time you make a home - though temporary, it's still a home never the less. However its rare, that you come to a country and don't make this home but are EMBRACED into it, somewhere warm, loving, accepting, fun and an environment that changes and challenges you daily. In my whole life, I've never felt this as strongly as i did on the farm. This is a magic farm. And not many people can say that they've experienced something like that. So I urge you to, GO TO THIS FARM. And give my love to 7629 - she's my baby. I love her, so much. Thank you to Aysun, Mehmet, Can, Furat, Zeynep, Cemile, Murat, Sedat, Zahide, Kemal, Zeynel, Sarah, The Vet who I cannot spell his name for the life of me but is always very cheery and happy, Thank you to Serdar and his whole family and my fellow volunteers that where there with me. You're all people I'll never forget. And will be in my hearts forever. p.s - To future volunteers, If you are able to get Cemile to smile, or even LAUGH. and i will tip my hat to you, Sir. Working for Aysun and Mehmet was an incredible, rewarding experience! They opened their arms, heart and home to myself and Aimee for a month and a week. We were welcomed by everybody. The workers on the farm were very patient, understanding and always kind. We were able to learn some Turkish words and phrases and vice versa, they were keen to… read more learn some english! Not being early birds, we suprisingly found the 5.30am milking shifts to be our favourite! There is something amazing about looking at the clock at 8.30am, knowing you've done 3 hours of work when you'd normally otherwise still be in bed. The days were filled with so much to do, from scraping to tractor driving to combing cows to çay zamani! (tea time) It doesn't stop there, the hours spent away from the farm at the guest house were always special. Cooking together with other volunteers and spending hours around the table, often wıth a huge bucket of milk, talking and laughing. Dinners wıth Aysun and Mehmet were really something to behold! Aysun is a fantastic chef and truely is the hostess with the mostess! These times together were most cherished. We would share travel stories, future goals and our experiences of the weeks work. We fell in love with the cows. We had our favourites and our not so favourites. We got to watch and assist with the birthings of calves, which was an experience in itself. We will always treasure our time on the farm and hold the memories close. Thank you so much Aysun, Mehmet and who could forget our Can. Thank you for just being you! 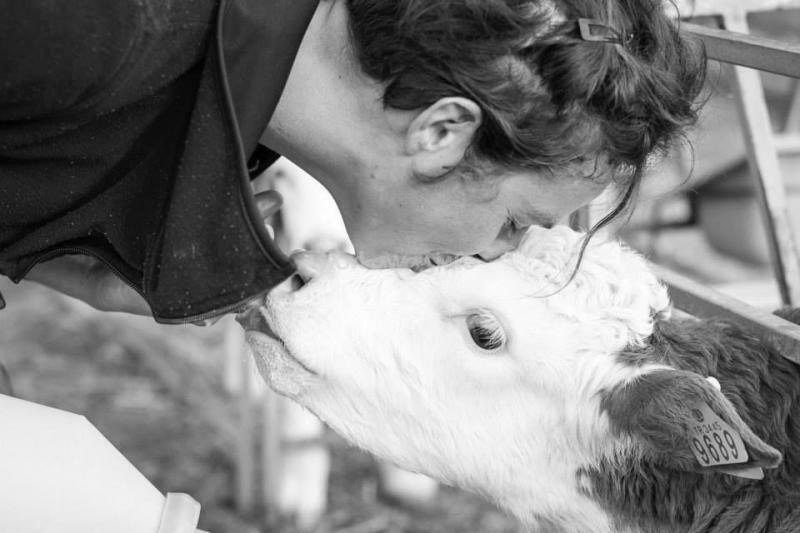 Your passion and love for the animals and farm is inspirational. This farm is a real amazing place! I went for 3 and a half weeks in februari and It was great! It was my first abroad experience all by myself and It was wonderfull! Aysun and Mehmet are great, warming and friendly people who love their farm and animals. The Turkisch people are lovely and they love to laugh and make jokes. Also the atmosphere in… read more the living area with the other volunteers is so nice! I learned a lot about the world and life in these few weeks, a real good lesson. I made friends for life here and I won't forget the warm feeling it gave to me! If you are searching for a place where you want to be outside and be active for whole the day, this is a great spot! Thank you for this life changing experience! We will meet again! I miss the cows allready! Such wonderfull animals! 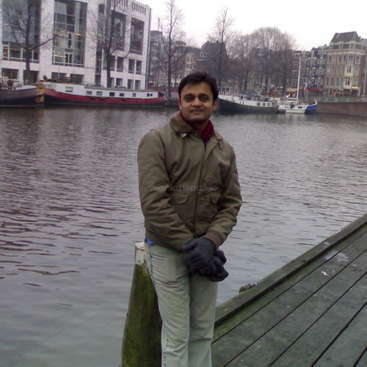 My time spent there is very memorable to me. It is a place with loads of positive energy, where I would love to go again. (I will go again) :) A very unique feeling. Lots of stuff to learn. It may be a bit of little hard work for some people, but for me it is one of those things that made it more fun and enjoyable. I'm gonna miss everyone I met… read more there, all the people, the cute cows, the cats and dogs. I thank everyone I met at the farm for allowing me to have such a remarkable experience! Another delayed feedback.. I stayed here for 3 weeks in October '15. I have already missed The Farm; Aysun&Mehmet, Sarah, other volunteers and the staff will always have a special place in my heart. My first volunteer experience in work away, my first contact with cows, my first step out of city life, first awareness on holistic management, first… read more taste on yogurt made of "drying cow milk"... so many firsts.. At the beginning I was worried if I could get used to the work load, but no worries, even if your fitness level is poor like mine, by the second week all goes well. Work load is distributed thru a weekly program and you have enough time to have rest between shifts. Early shifts were my favorite since I don't have much opportunity to watch the clear sky & the stars in İstanbul! As per the conditions, volunteer house is clean and comfortable with hot water and nice food. Its atmosphere all depends on how volunteers treat each other and I can say that we really shared and enjoyed a lot. Finally, I want to thank Aysun&Mehmet for their open heart and for this amazing experience once again, hope all your dreams come true! I spent three weeks on the farm over the Christmas and New Year's Holidays. It was an unforgettable experience. Yes, the work days can be long, and some mornings early (be prepared for 5:30am milkings!) but the people you work alongside make the work fun and easy. 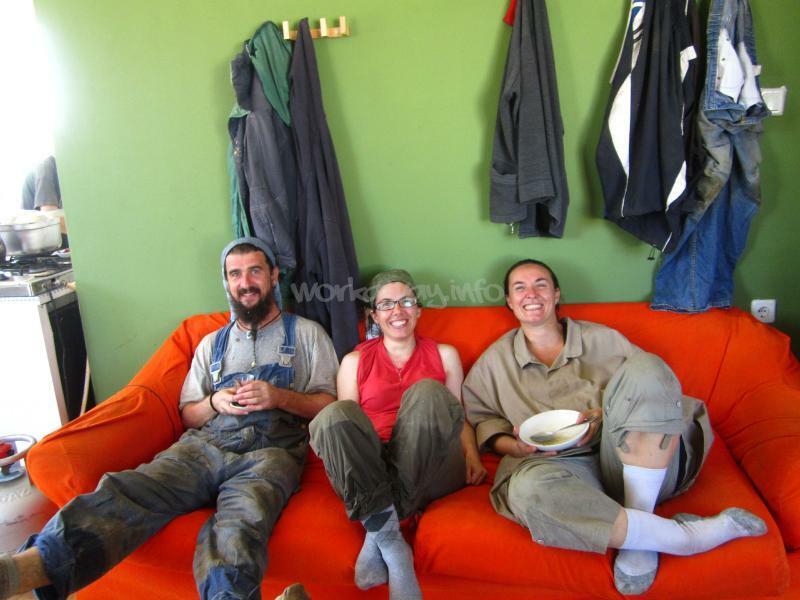 The Turkish workers on the farm have good hearts, and you're bound to find other… read more wanderers like yourself who have signed themselves up for this adventure! The work mainly involved cleaning the manure out of the barns, working with the calves, combing cows, and of course helping with the milking. The tasks are not difficult, and you will come away with a bevy of experience. Expect the best quality milk, cheese, butter, and yogurt you'll ever taste. Nothing like coming into the communal kitchen for breakfast and seeing a bucket of fresh milk on the table. 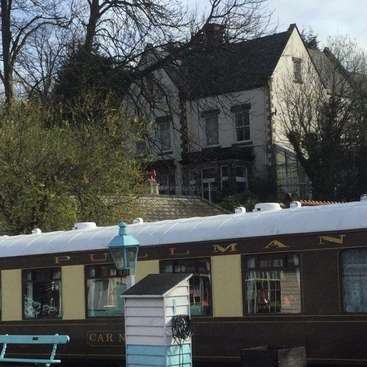 The volunteer house and kitchen are comfortable and enjoyable. Fresh produce from the market each week really allows volunteers to be creative with the menu. 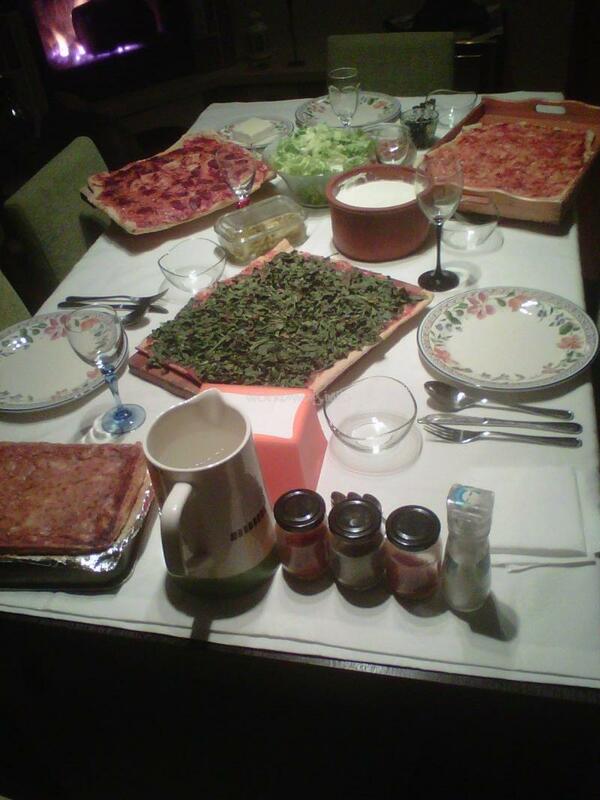 And expect delicious homecooked Turkish food at least three times a week! If you are a vegetarian, be wary that the catered lunches always contain some form of meat that can usually be picked out (if you're that flexible) otherwise the volunteer house is close enough to the main office that you can run home for lunch. Aysun was very accommodating with the dinner menus, and went out of her way to make delicious tradition Turkish (and vegetarian!) dishes. Overall, prepare yourself for an experience unlike any other. Thank you for joining in with our team. Hope to see you again;all the best further on your journey. Thank you very much for allowing me to stay in your beautiful farm. I really enjoyed my stay in Istanbul. It was the best experience for me as a volunteer. I learned a lot from you, from the cows, from the workers and from my co-volunteers as well. The foods and the cow's milk are so delicious. I… read more would love to come back again. I spent 3 weeks at Mahmet and Aysun`s farm on my first workaway experience.people in the farm were cool and so welcoming.staying in the farm was a great experience of dairy farm working/ visiting the Turkey/ meeting new people from other countries which made it awesome. The farm was like a mother, we were children which were growing in front of… read more her.we were doing the same tasks but each of us was looking fore something different. i found what i was looking for and i hope the other friends be successful in their quest. dear Mahmet and Aysun, thank you for every think. 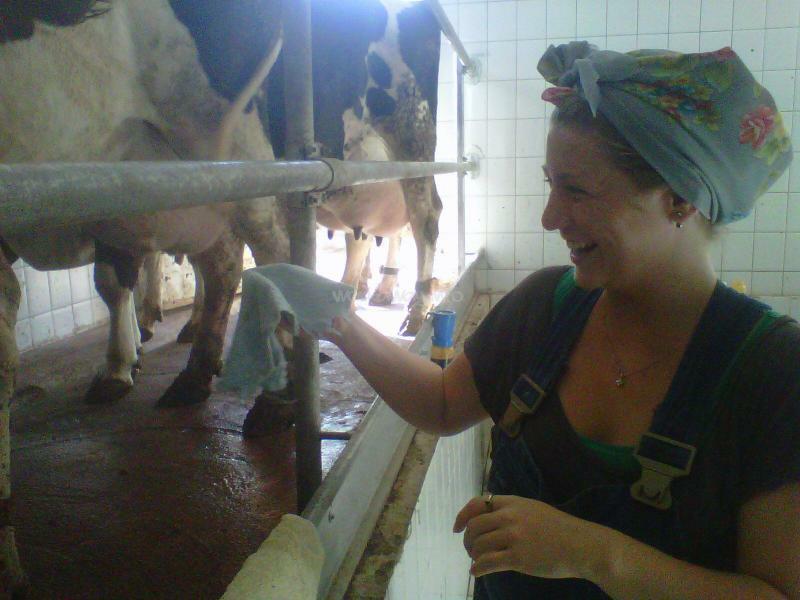 This is a great place to learn about dairy farming and be part of a volunteer team. The work is well organized and shared and I disagree with other volunteers who say it is hard work! A clear schedule and clear daily tasks and meals are shared togehter. Also, lots of breaks for tea! One day off a week and a weekly trip to the local market ! The… read more farm also has Turkish workers who are incredibly patient and kind to have the changing foreign volunteers coming in and out . Please take the time to practice some Turkish with them! It is incredibly rewarding. Aysun is an amazing person to meet. She is so kind to open her house and heart to so many people. She is also very passionate and you can learn so many things from talking to her! The cows are such gentle animals and working here gives you a great perspective on dairy farming, the animals, the milk products and the farm work. Also, a greater understanding of rhe business and bigger dreams! This feed back is so so so late......sorrry!! Did you ever have a feeling or a moment in time where you realise exactly what you want to do in life? I had that here. Not in one moment but spread over the entire 2 months I spent there. I had the opportunity to become involved intensely in the running and day to day. But I had time to really get… read more to know myself and really sink into what I wanted to do in the future. The (almost) three weeks I spent in Aysun and Mehmet's farm was amazing and absolutely life-changing. All the people in the farm were very welcoming and I felt like I have known them for a while from the first day. The work is not easy and there is no room for being lazy but it was no problem at all, especially after 2-3 days when you get used to… read more how things work around the farm. This was my first volunteering experience and it was perfect. The guest house is pretty cozy and comfortable, the food (especially the ones at Aysun's place) were really good and the work is well-organized so there is no room for confusions. Although volunteers are an important part of the operation, there is no pressure and you don't feel like you are judged when you have a tea break. I really respect what the farm is trying to achieve and wish every farm manager had the mentality of Aysun and Mehmet. I enjoyed my them there and would like to come back for another volunteering period or just for a visit. Her şey için çok teşekkürler. Sevgilerle! Whoever hosts Clare shall get ready to laugh a lot,enjoy life and witness a talent&confidence and hardwork at a young age. Se is a precious value and will be missed a lot back here at the farm! It was treating milking,scraping with you-all the best further on your journey dear. Aysun is an angel and an absolutely incredible host. She loves her volunteers almost as much as she loves her cows and is an inspiration to me. The employees are fun and nice and helpful and although they speak very little… read more English are quite easy to communicate and get along with. The work is hard and rewarding and interesting. The food is too much and too good. The countryside is gorgeous and the sunsets and sunrises are stunning. The lodgings are comfortable and spacious. I spent two months on the farm, and would have spent more, were other circumstances in my life different. Aysun and her family and team (these words are interchangeable in this case) are incredibly kind and generous of spirit. I had never worked in a situation like this before, nor did I know much about dairy farming, but I was trusted with the… read more work and took a hand in every aspect of the farm. If you are thinking of applying to this site, I urge you to do so, and to approach the business with a will and an open mind. You will not be disappointed. Whoever hosts Hannah and Ben shall get ready to love,laugh and enjoy life :) You are so lucky to have this couple who are full of care and love! Their efforts and contribution to the farm will very much be missed.Very hard working , organized manners every time adding an artistic touch to whatever they do. Guys; you have a long journey,I look… read more forward to visiting you once you root back home in Australia. Thank you very much for helping us grow! Where to begin! The ten weeks we stayed on the farm were some of the most memorable days of our lives. The farm and the community that lives and works within it is such a rich and culturally diverse place. The work can sometimes be exhausting, but enjoyable because you know you are working to achieve higher dreams and greater goals. Aysuns'… read more project is truly exciting - a vision for more sustainable food production, distribution and individual diet. This is a great place for short term volunteers, but THE perfect place for long-term volunteers as there is so much trust and room to grow and make a difference. Thanks for all the nice feedback.We are also very thankful to your contribution.My father always complains that there is too much discipline and fewer fun in the farm.You absolutely changed this!Your role has been the harmony and joy for us!We are very glad you made it to the farm.All the best further on your journey. Aysun and Mehmet are just what I can call the real deal. They treat the volunteers as part of the family, and that's how you actually feel while there. 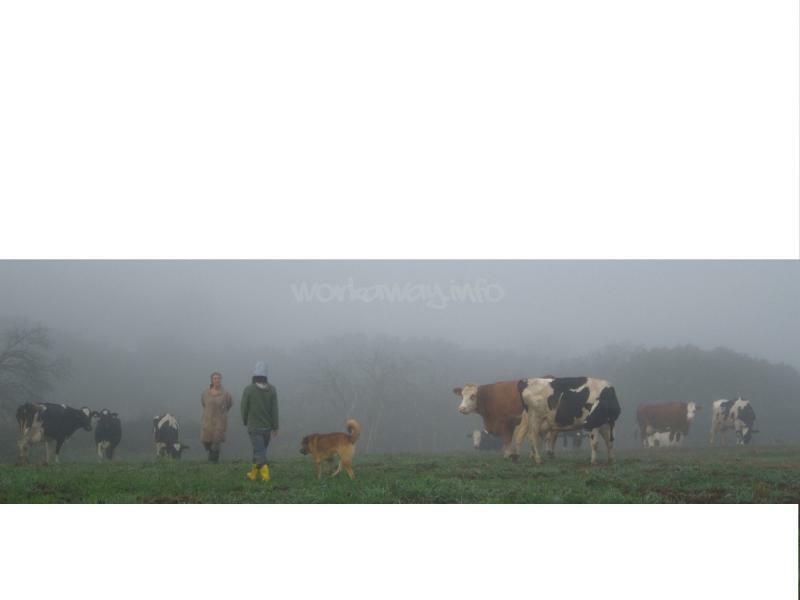 The foggy chilly mornings are amazing, the air so pure, so much love going on in the farm, the cows and the staff are all so friendly and the landscape is something to keep in mind forever. About… read more the work: it's fun and rewarding no matter what's the job: cleaning, feeding, milking, combing, bottling. Everything has it's strong spots as you learn how to do it. The guest house is really comfortable and I didn't miss a thing while there. I'm really thankful for being part of it. It's quite an experience. I feel ashamed for taking so long to write this, specially after the amazing time I had at the farm. First of all, I'd like to say thank you to Aysun, Mehmet, all the other volunteers and staff for making this an amazing and unforgettable experience. I've had such an amazing time, and I'll be back for sure. Like many others have said, we work hard. But it's all worth it. And we always do it with a smile on our faces. I'd like to apologize to the cows that had to spend hours listening to me, trying to sing all day long. I don't even know where to begin. My experience on the farm was life-changing and something I still think about every day though it's been months since my visit. The work was so fulfilling and the energy between everyone was so positive. I'm now in love with cows. It was amazing getting to know them and feel them getting to know me. Sure, the work… read more can be hard and smelly, but everyday was happy and joyful. Do it, do it, do it--the place is magic! Thanks, Aysun, for everything and I really hope I can come back one day. The seven weeks I spent with Aysun, Mehmet and everyone else here were incredible, and beyond a doubt one of the best experiences of my life. Put simply, this is a home away from home. Not only are Aysun and Mehmet incredibly hard workers and incredible people, they strive to make volunteers feel comfortable, and more importantly, feel part of the… read more team. Almost immediately, you feel as if you are really contributing to the farm. And you will also learn a lot about yourself. The cows are amazing, the calves are amazing, and the people are amazing. For anyone looking for an "abroad experience" that is meaningful and significant, go here! Thank you guys for everything, and I will certainly see you again! I couldn't have spent my time August 2014 better than volunteering here! You have to work hard, but you get so much in exchange. The love from the cows and calves, the perfect accommodation ( clean, cosy and nice) and the delicious food ( especially cooked by Aysun or Cemile). I felt very welcome from the first day on and the only thing to… read more regret is the fact that I didn't stayed longer at Göndünümü. Thank you very much, we'll meet again! This was our first workaway and our first time in Turkey, so rather daunting! Although as soon as we arrived at the farm we were overwhelmed how welcome we were made both by Aysun, Mehmet, the whole team and all the volunteers. Our time at the farm really felt like a home away from home and we met some amazing people. Of course all this would not… read more have been possible if it were not for the cows. You really will come to bond with them and feel an awfully fond of them. You spend the majority of your day with the cows and calves; feeding, combing, scraping, milking and after being away from the farm you really will miss them, all the wonderful people and the farm itself. We honestly can't recommend this place enough, you're guaranteed to have an amazing time, Aysun you will certainly be seeing us again someday! Calling Katie and Simon either one by one as individuals or a couple together as a volunteer is so… read more unfair. They had been very family ;sharing almost everything,through a disciplined manner,hardwork,always solving,caring,always bringing fresh breath at all times. We feel so lucky to have met you and whomever gets to host you is very lucky. I stayed at Aysun's farm for 5 weeks and had a great time. There was a lot to learn, especially me having no experience with farming, cows, or large animals in general, but the sense of community was really strong. The days are pretty long but not hard once you're used to it, and it's really great to watch the calves grow, the cows get fed,… read more cleaned and milked, and get to know all the staff and other volunteers. The dinners are all great whether at Aysun's or the guesthouse, and it's an opportunity to eat more naturally, family-style... aside from the Chokella of course. I miss it! I spent a month in Aysun and Mehmet's Farm and i had a really good time. This was my first time working with animals but i quickly learnt about many tasks. The job is "hard", but in the evening you will feel very satisfacted when you have dinner with your new friends. There is so much to do that you'll never feel lonely or useless. The… read more accomodation is really great, as you will stay at volounteer's HOUSE. After this, when i think about cows i think about the Farm! Thank you to my Turkish family and all the best. 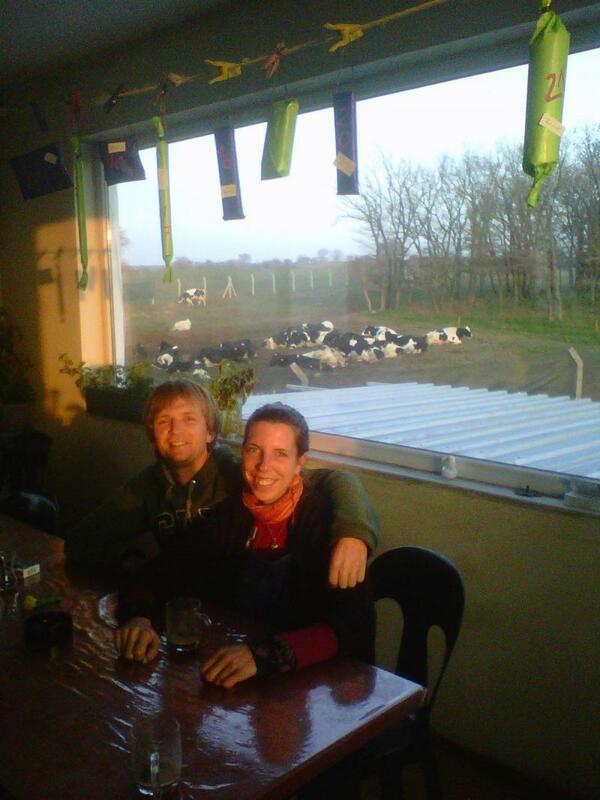 Pip is dynamic,cheerful,hardworking and full with energy.It was very nice hosting her.You were a brilliant color to our dairy farm Hon :) I wish all the best and thankful to your coming ! I had a wonderful time here with Aysun, Memhet and Jon. I was welcomed into the farm like a member of the family. Aysuns passion for the cows is infectious and I ended up staying for two months, when originally I was only planning a stay of a few weeks, also I will never look at a cow in the same way! The work is sometimes physically hard and… read more a 'bit' messy, but so rewarding at the same time. You get a real sense of job satisfaction! The relationships between the other volunteers and the workers on the farm are extra valuable because there is little common language but it all still works. This is my first experience to use workaway (work exchange). As some volunteers mentioned, actually I did hard working at this daily farm. But other than that, everything was awesome. Here is one of the most beautiful place in the world, specially sunset. Food was very tasty, specially served by Aysun. And the best thing for me was to stay… read more with many volunteers from all over the world. It was really impressive. Even though my English skill was not enough, but it was not big matter. If you are reading this right now, it means you are evaluating the possibility of volunteering at Aysun and Mehmet's farm. I want to grab your attention because as another traveler, I think we should all share our little tips and good advice to have the greatest of journeys. So here is the top recommendation of mine; just grab… read more your bag pack and take the ride to this dairy farm!! If you are like me, you like to have a great accommodation when working hard at a workaway place. I mean, it's the deal! There, don't worry. Seriously, you'll have everything you need and more. The logement is very cozy, clean and convenient. There, I also met people I will never forget. That environment is really fertile for great friendship with people from around the world. And if you are like me and like to meet the real people of a country you visit, you'll be pleased to work with the lovely Turkish workers. We had some very good laughs and smiles while trying to understand ourselves and to teach each other our mutual languages. So dear traveler, don't know what is your definition of a happy volunteering experience but mine sounds like living a simple life close to nature and animals that are respected, to be fulfilled of a cultural experience, to be in a constant learning process, to move and exercise while working without even realizing it eheheh, and to share all of that with wonderful people. And I can totally "check" all of these in my time spent here. Everything is said. Happy workawaying! I really have great memories in the farm, there are so lovely cows and calfs, and you cannot avoid to fall in love with them, everything I've seen, is positive for me. Aysun, thank you for give your best for make us happy. Working on a dairy farm has always been a dream of mine and I couldn't have dreamed of a more wonderful experience. I saw and learnt so much! I cannot thank Aysun and her lovely family enough for opening up their arms to me, sharing their home, milk, yummy traditional food and their dream and for bringing me together with such a wonderful of… read more group people. I tried to squeeze all of this and all of the warmth, love and happinness that surrounded me into just two and a half short weeks and as a result I can't say how much I miss it! I was just getting to know the work, getting close to the cows and the people and I wasn't ready to leave. The best advice I can give as feedback is that two and a half weeks will fly by, so if you have time for a longer stay, you must! Thank you Aysun for everything. I'll see you again soon! This was my first workaway experience and I could not have asked for anything better. Aysun and Mehmet truly open their home to volunteers and share it all. The farm is excellently organized and it is easy to feel quickly incorporated and useful...which I found very satisfying. There is an immense amount to learn and I know that I only brushed the… read more surface. My only regret is not having more time to spend. Two weeks was simply not enough. Mathilde and the whole team are so generous and patient, I learned a great deal. Thanks for everything, I know I will be back. Until then, I will try to immitate Aysun's cooking to the best of my ability. Comb and extra cow for me! Cows like discipline,harmony and love. Megan had it all!And not only for cows but also with us as well.I admired her discipline to organize yoga classes on her off time;she definitely is very valuable to whomever gets to live with! Wow, what an experience! This was my first time working on a farm and I guess animals in general. Aysun and Mehmed are two fantastic people and I had a great time working there. The work could be long and for some maybe challenging but its so worth it. I learnt a lot about dairy farming and my love for cows grew immensely :) Ive been traveling for… read more 6 months and I must say that this might be one of my favorite experiences so far. Thank you so much! Staying at this dairy farm was a perfect workaway experience for me. I was only there for 2 months but I wish I had more time! It is an ideal balance of hard (but not too hard) physical work, great atmosphere in the volunteers house, caring attitude from the hosts, immerse amount of learning. Very positive and inspiring as a way to see how… read more different people in this world live. 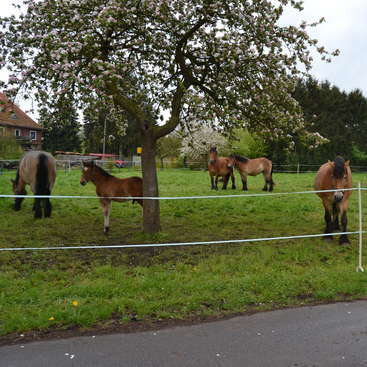 In the firt days I was so overwhelmed by the nice atmosphere that I paid no attention to the smell of manure. Accommodation and food are perfect. The farm is surrounded by beautiful fields and is like an independent small world. It is definitely for those who are not afraid to get their hands dirty. The schedule is pretty much set up with morning and evening shifts and routine responsibilities expected from volunteers, it is also nicely planned with breaks (30 minutes-1,5 hour) enough to have rest. One tip: if you're addicted to internet or anything online, I suggest you try to download things you might need in advance as the internet connection is a very precious thing there. That's a great escape from urbanity, highly recommended! After two really fast months I have to say that I really learned a lot during my time in the farm, and besides the technical stuff, it was way interesting got to know the family, the team and of course... the cows! Its like a big and great family! And its nice how on such a short stay people can feel part of it. I'm more than thankful with Aysun,… read more Mehmet, Yan and the rest of the crew for this unforgettable experience! My best wishes to everyone! We had the privilege to host this young man about two months.His patience although for his young age is excellent.Very hard working,very easy going,very positive.Always smiling. He became family;and definitely added value to our farm. Anyone who hosts Leo shall get ready for a nice brother! How Do I even begin, Firstly thank you so much for taking me onto your farm for a whole month. This was my first work away experience and I couldn't have asked for better. I knew next to nothing about cows before I arrived but Aysun's staggering enthusiasm for cows was both educational and infectious. I… read more quickly learnt the ins and outs of the farm and felt like a member of the team after only a few days. The work is varied from cleaning barns, milking cows, preparing feed, filling milk deliveries and feeding calves. I was fortunate to witness three calves being born during my stay and grow attached to a number of the baby calves and adult cows while I was there (especially one of the adults who apparently looked just like me). Aysun and her family were also very accommodating, sharing not only their house with us but also their delicious food. 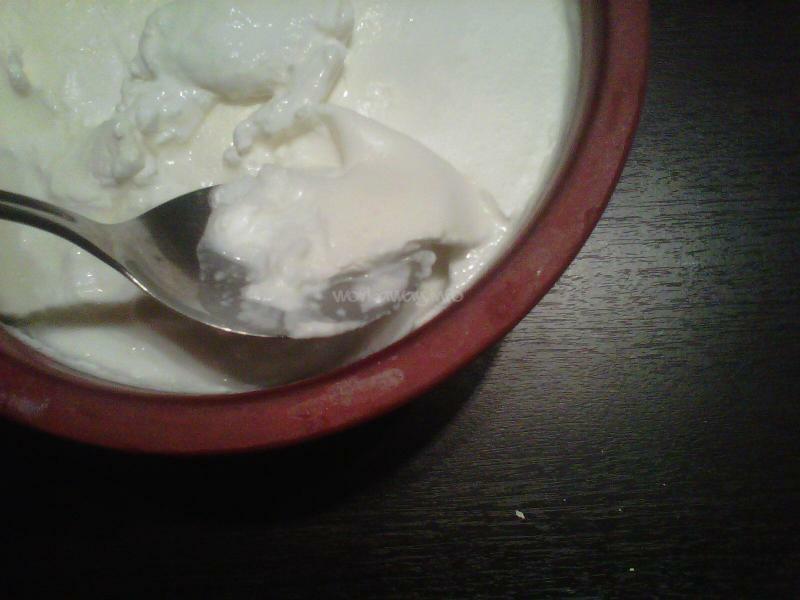 I learn't how milk was processed into cheese, yogurt and cream (although my attempt to make ice cream was a terrible failure) as well as how to make pepper bells, Boruk and Baklava. I'm very glad I was given the chance to stay and have many fond memories to take away like singing Madonna and the Beatles to the cows in the milking parlor. Dancing with Jamilla while filling milk deliveries in the bottling room. Laughing with Erdall, Kemal and Tarick as I tried attempted to speak Turkish. and of course the many family dinners with the volunteers and the crew. Once again thank you for a fantastic stay, to my Turkish family I wish you all the best in the future. I only worked in the farm for one week, which wasn't necessarily enough time to learn much, but even so, I have enjoyed my experience to a great extent! Aysun and her family were beautiful and kind, and I will never forget my time there. I don't really know anything about dairy farming, so I feel I didn't help as much as I should have, but Anne… read more was a great guide!